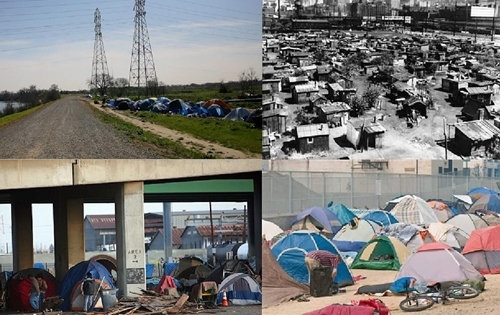 Just like during the last economic crisis, homeless encampments are popping up all over the nation as poverty grows at a very alarming rate. 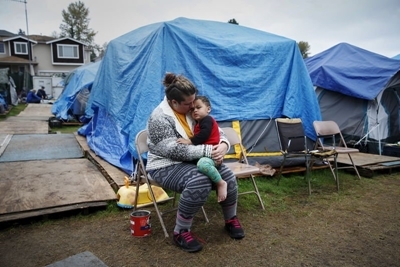 According to the Department of Housing and Urban Development, more than half a million people are homeless in America right now, but that figure is increasing by the day. And it isn’t just adults that we are talking about. It has been reported that that the number of homeless children in this country has risen by 60 percent since the last recession, and Poverty USA says that a total of 1.6 million children slept either in a homeless shelter or in some other form of emergency housing at some point last year. Yes, the stock market may have been experiencing a temporary boom for the last couple of years, but for those on the low end of the economic scale things have just continued to deteriorate. We have a lot of pissed off Americans. The numbers are growing. Shi* is gonna happen. That’s a promise.